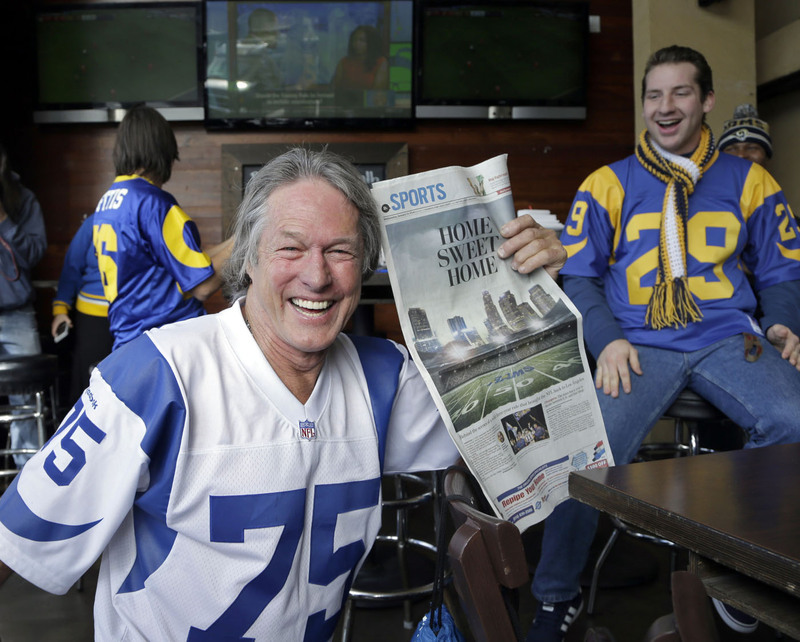 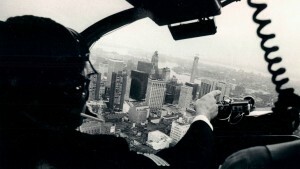 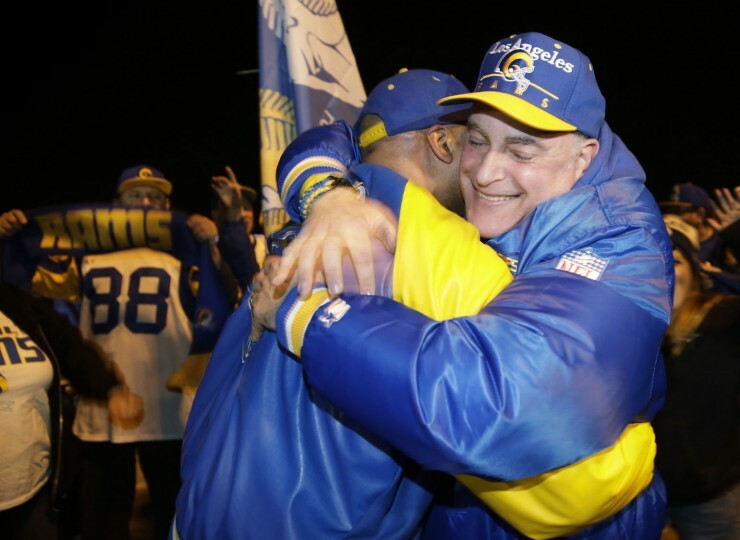 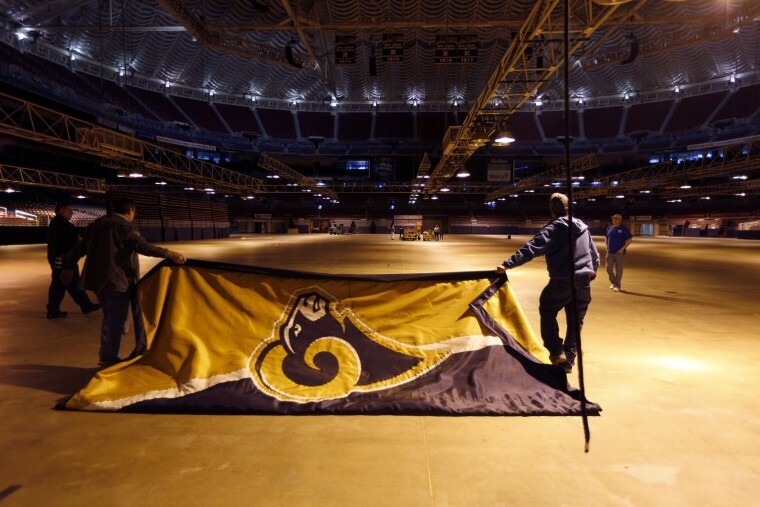 On Tuesday night, NFL owners voted to allow the St. Louis Rams to move to Los Angeles starting with the 2016 season. 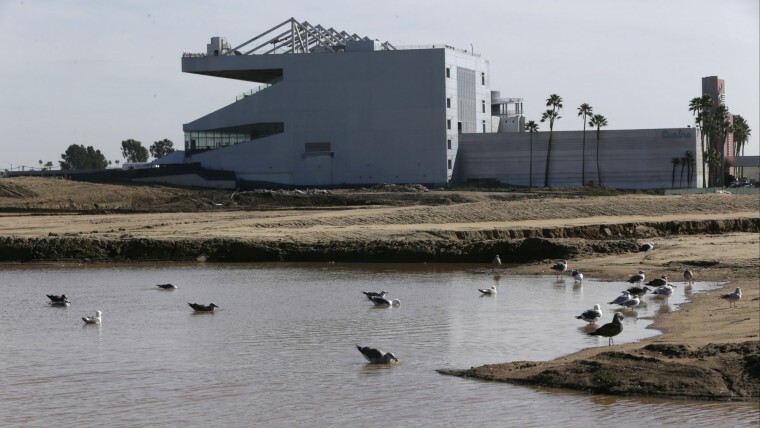 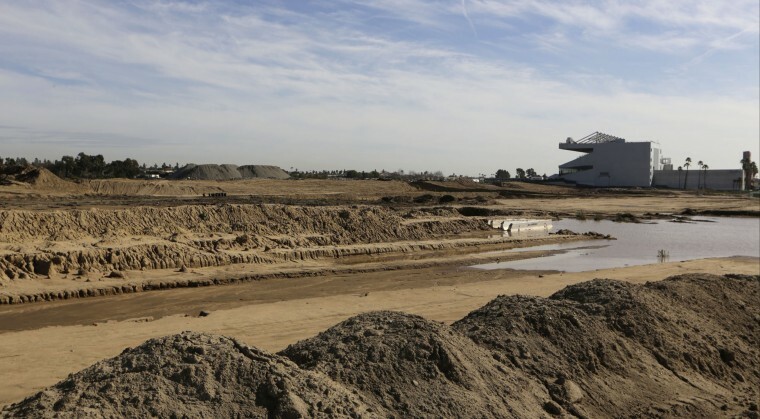 They will move to a new stadium just outside Los Angeles, and the San Diego Chargers will have an option to share the facility. 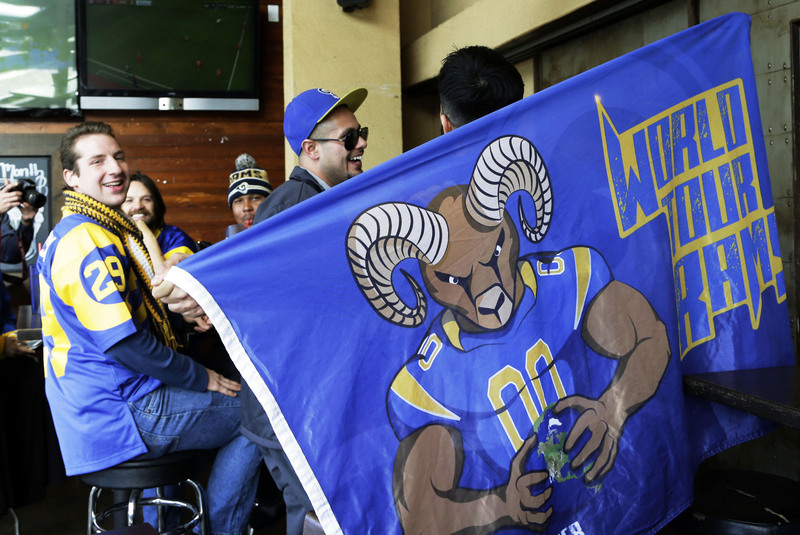 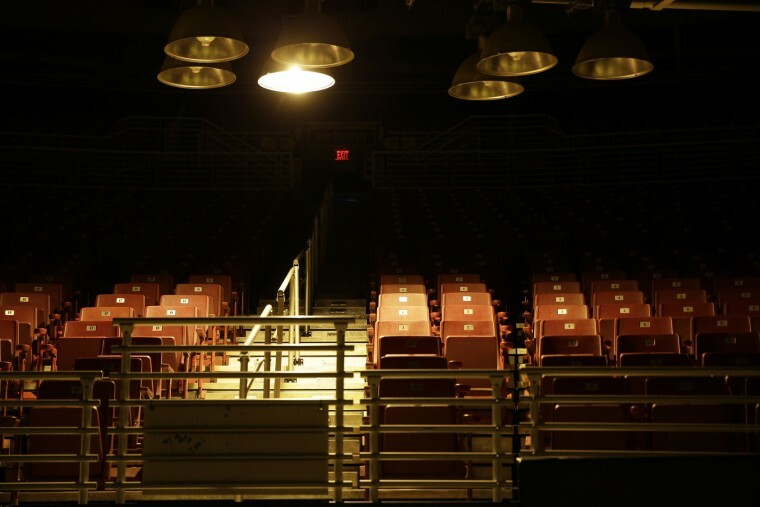 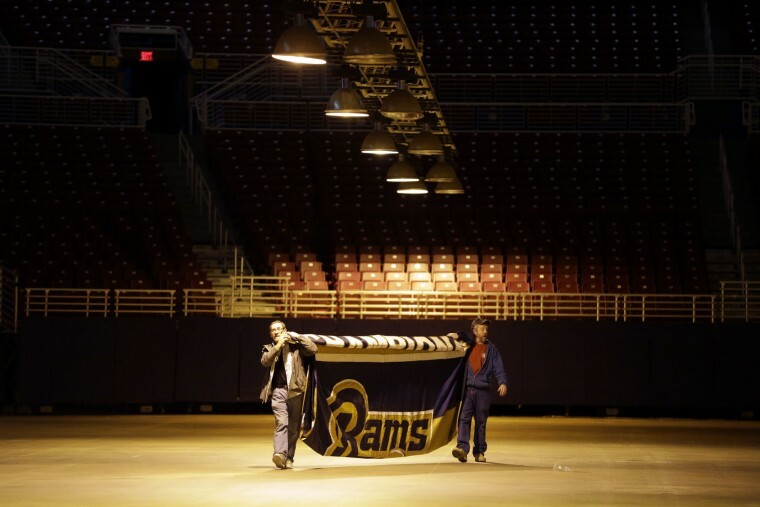 The Rams, based in the L.A. area from 1946-94, will play in a temporary facility, probably the Los Angeles Coliseum, until the new stadium is ready for the 2019 season. 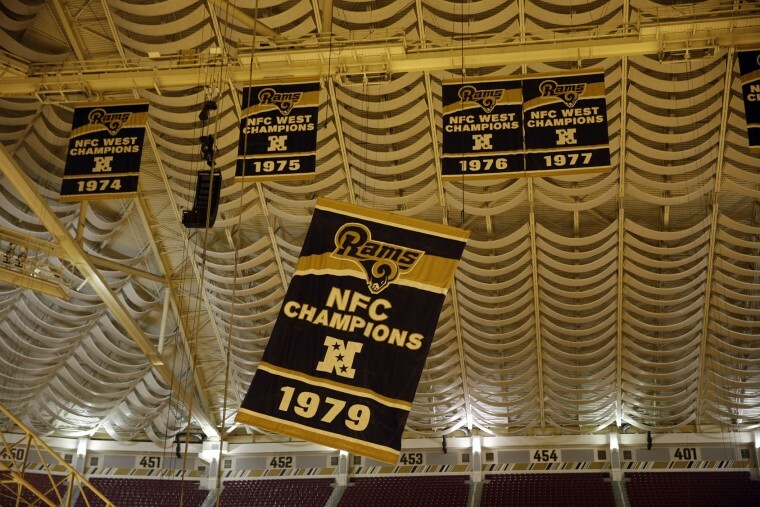 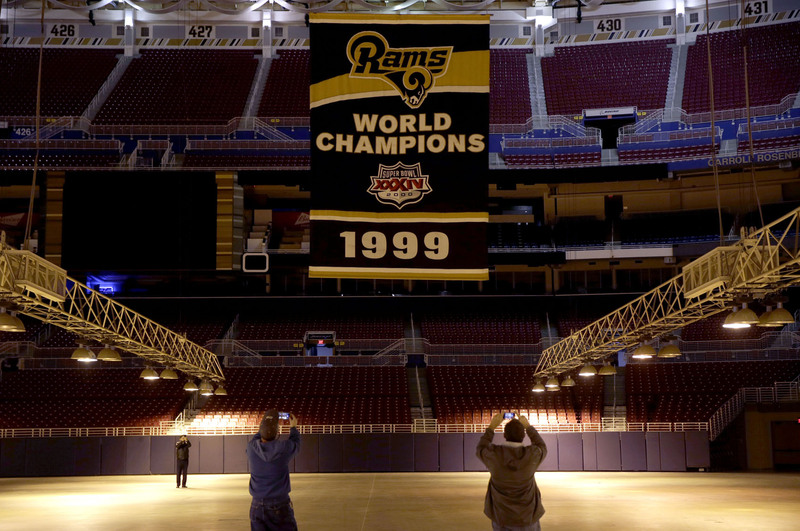 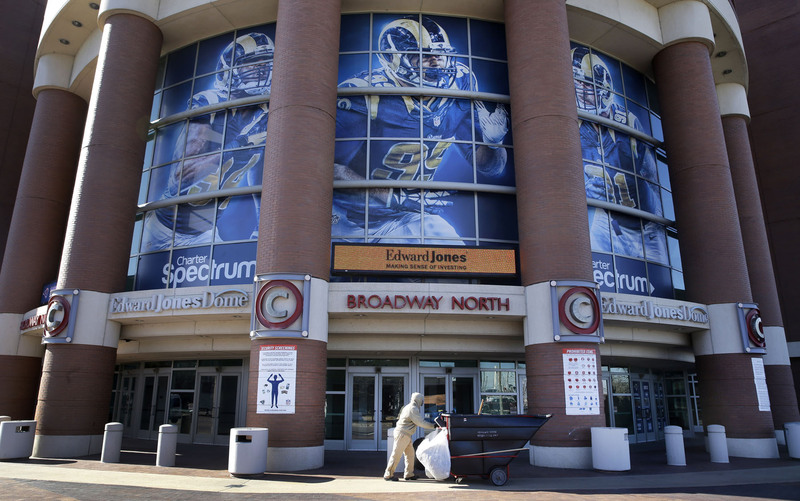 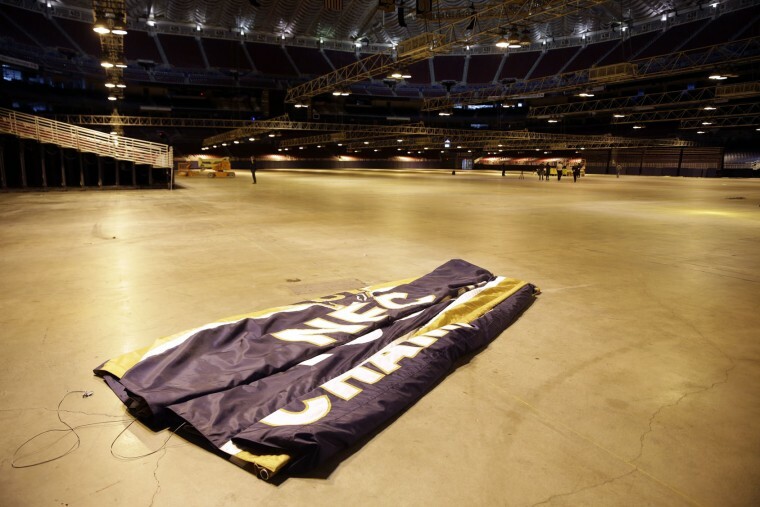 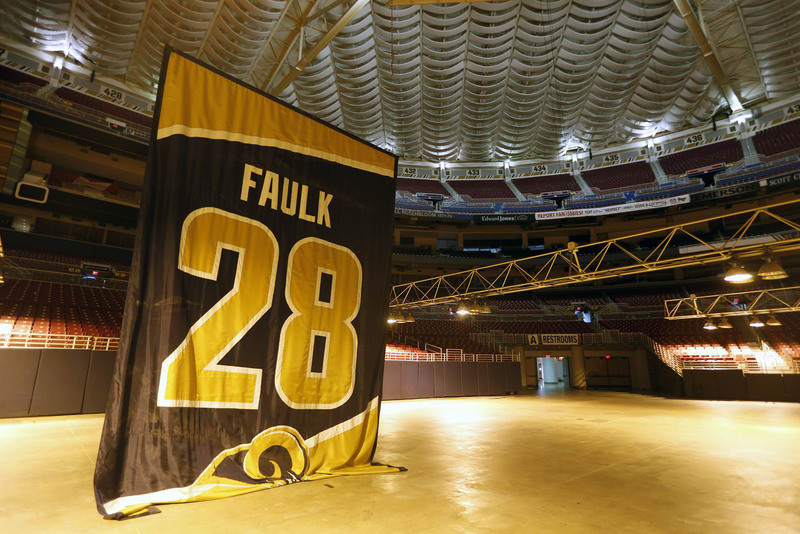 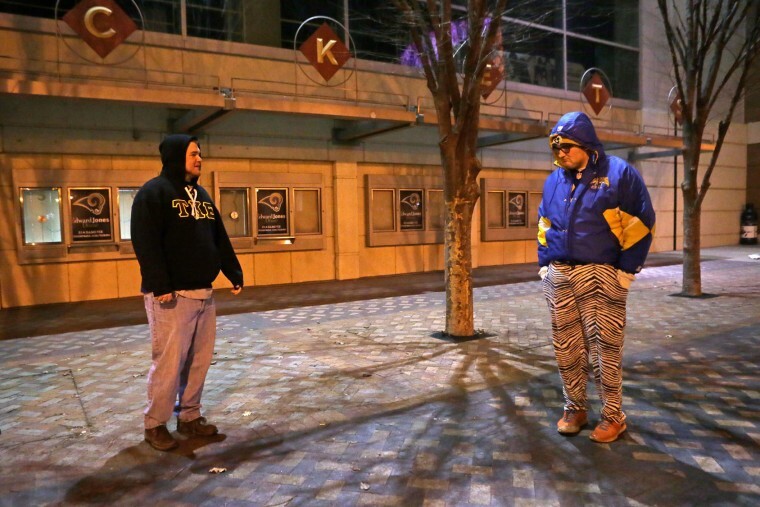 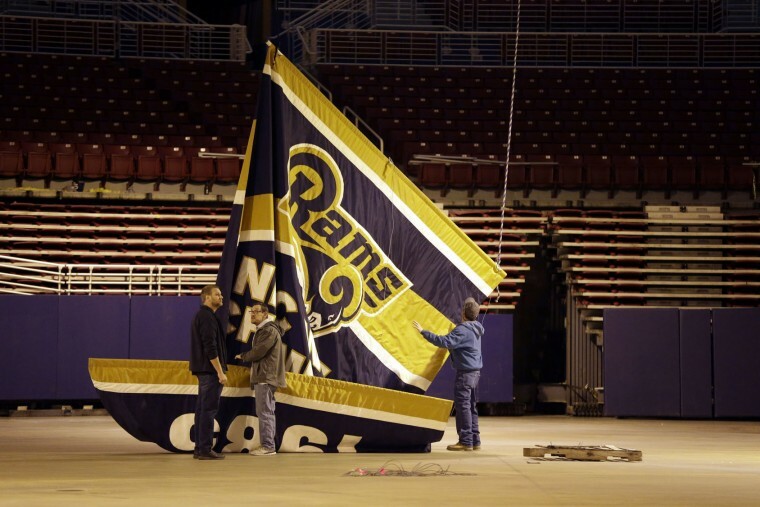 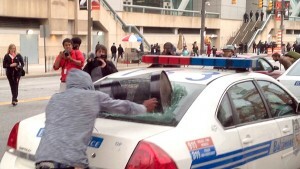 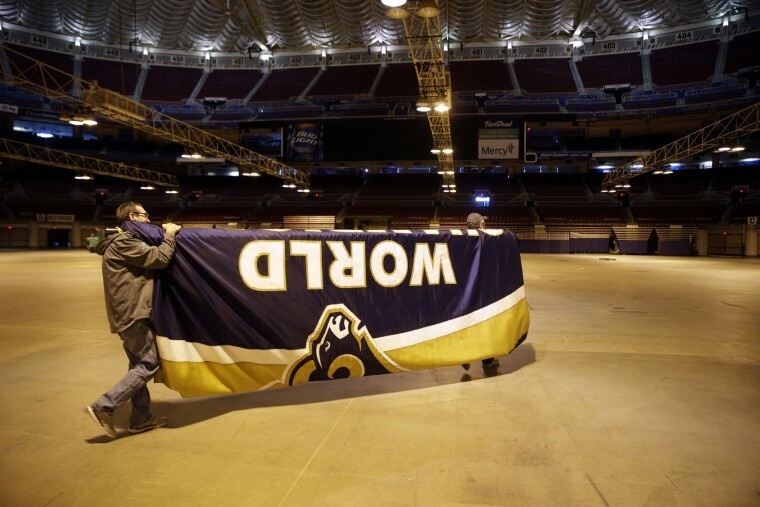 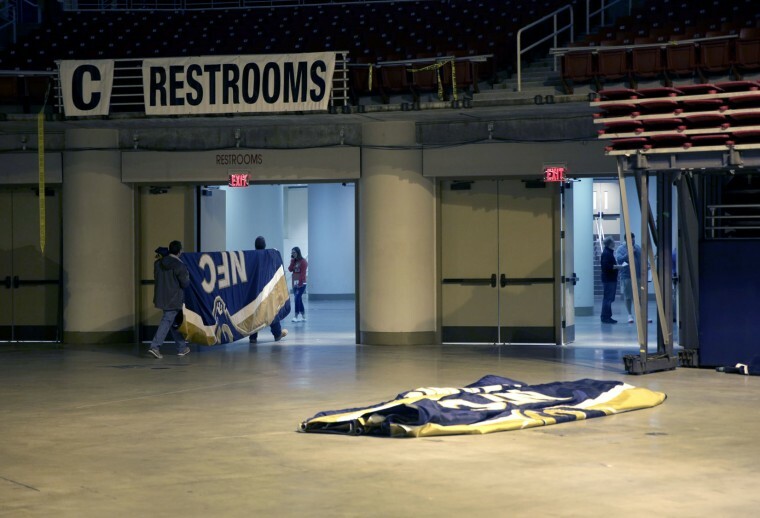 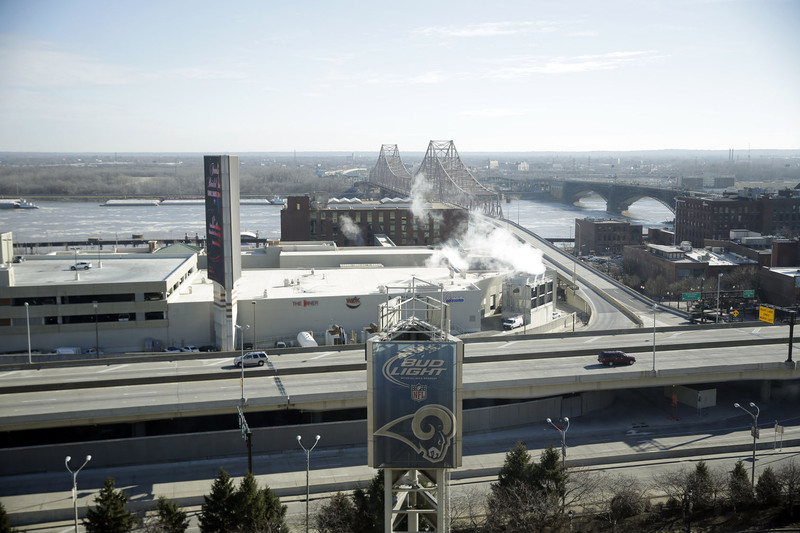 On Thursday, Rams banners were removed from the Edward Jones Dome, former home of the football team.